Christmas Stocking Gift is rated 5.0 out of 5 by 1. Rated 5 out of 5 by Brenda T from Great Gift - Loved it! Received an early sample of this gift and it was awesome! Loved the keepsake stocking. 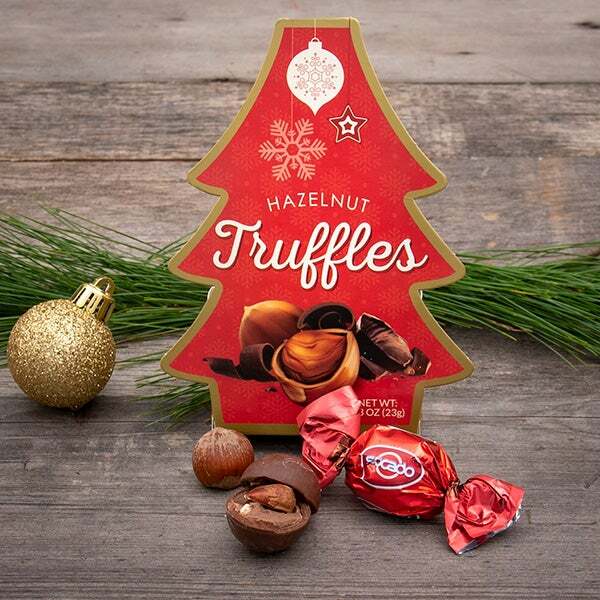 Ring in the holidays with our traditional Christmas Stocking Gift. 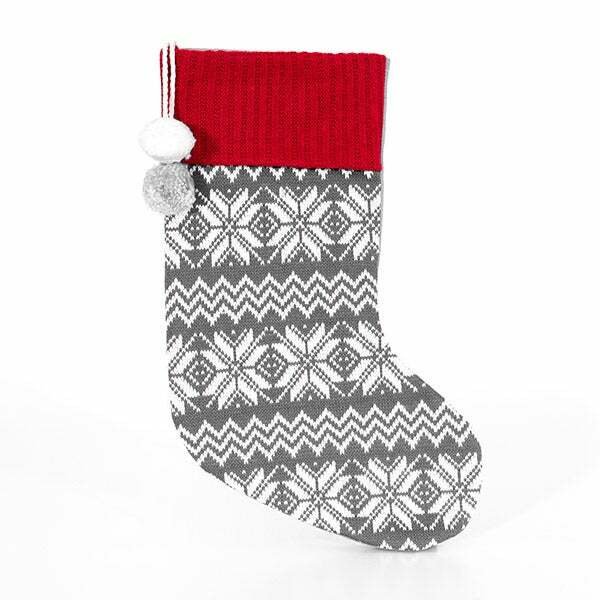 This holiday gift stocking holds many treasures that are sure to delight during the holidays. 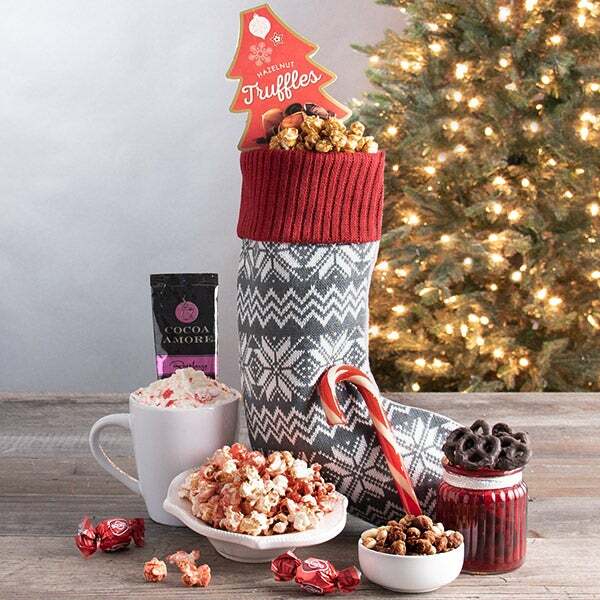 Inside, your lucky recipients will find a host of award winning gourmet snack foods including a holiday candy cane, milk chocolate truffles, s'more chocolate covered pretzels, butter toffee peanuts, handcrafted candy cane peppermint kettle corn and declicious hot cocoa! With an awesome variety of holiday snack foods, this is one holiday gift basket that will keep the "bah-humbugs" away! 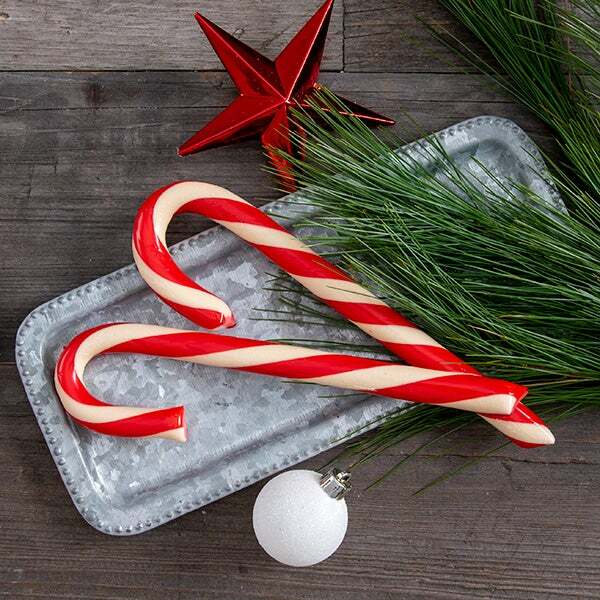 Candy Cane by Hammonds - A tasty peppermint flavored candy cane-shaped stick. (2) Milk Chocolate Truffles with Hazelnut Filling and Cereals by Soccado - .4 oz. - Creamy milk chocolate truffles filled with decadent hazelnut and cereal. S'mores Pretzels by GourmetGiftBaskets.com - 5 oz. 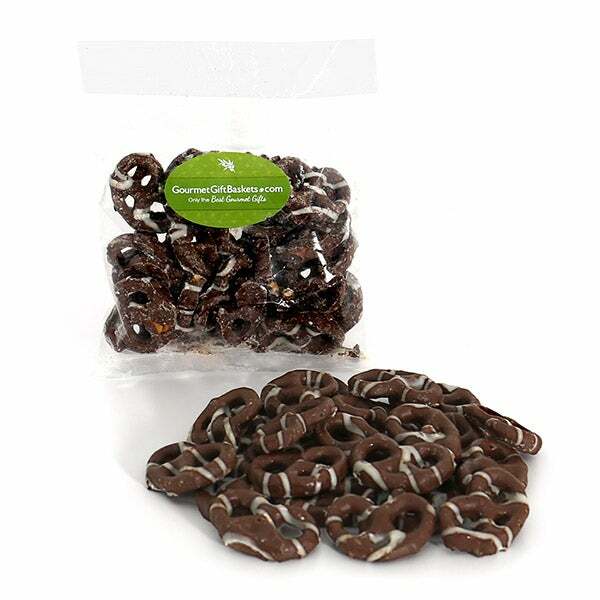 - Crunchy pretzels coated in s'more chocolate making the perfect combination of salty and sweet. Butter Toffee Peanuts by GourmetGiftBaskets.com - 5 oz. 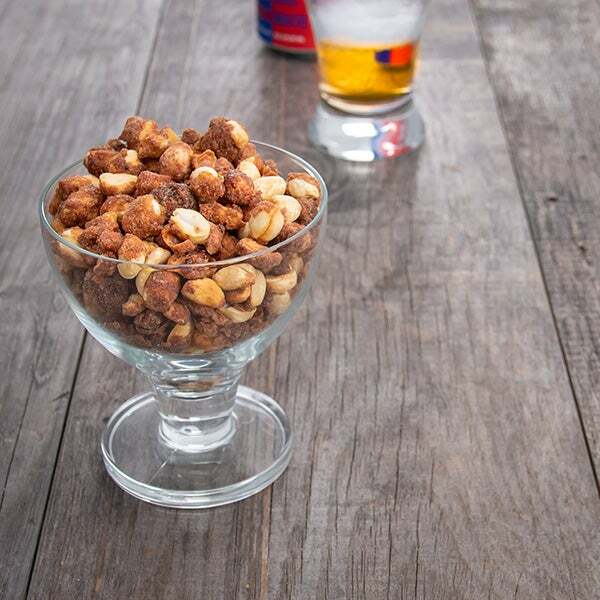 - Premium, extra-fancy peanuts that are drenched in thick, buttery toffee and hand-cooked in a copper kettle. 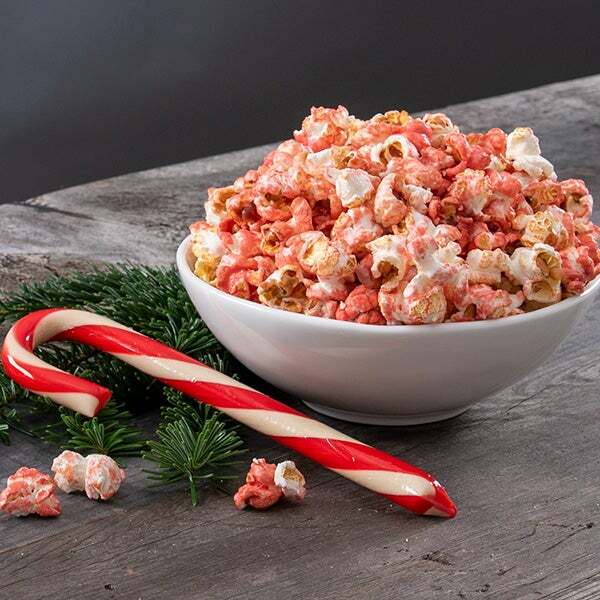 Candy Cane Peppermint Kettle Corn by GourmetGiftBaskets.com - 1.4 oz. - Premium handcrafter kettle corn that is dusted with specs of delicious peppermint. 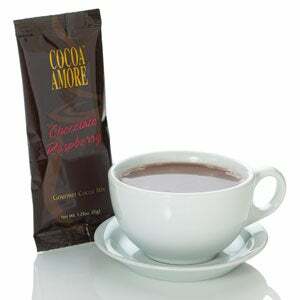 (3) Hot Cocoa by Cocoa Amore - 1 oz. ea. - A delicious, chocolately mix that is great by itself, but even better with a snack.